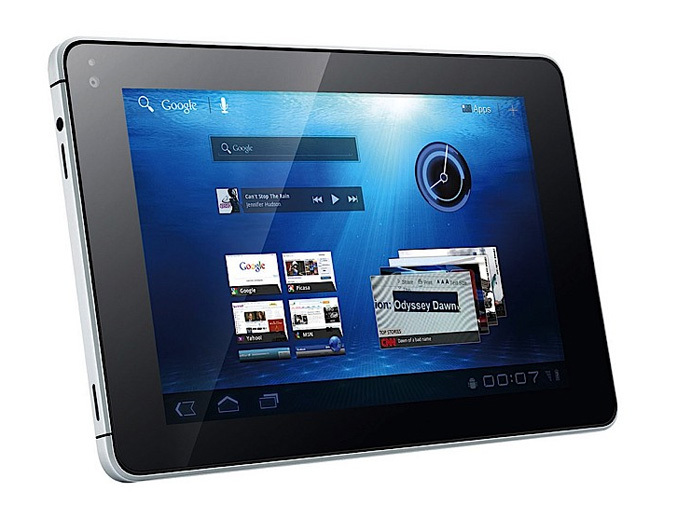 Telecom company Huawei today unveiled the MediaPad, claimed to be world’s first 7-inch Android 3.2 Honeycomb tablet. The device aluminum alloy body that weighs only 390g and is just 10.5mm thick. It is powered by by a 1.2 GHz Qualcomm dual-core processor and is fitted with 7-inch IPS LCD capacitive touchscreen with 217 pixels-per-inch density. Other specs include 8GB of internal storage, GPS, 802.11 b/g/n WiFi, Bluetooth, GPS, HDMI port, a 1.3 megapixel front facing camera and 5 megapixel auto focus rear facing camera with HD video recording capabilities, and battery that offers around six hours of life. The tablet runs the yet unannounced Android 3.2 Honeycomb OS and supports 1080P full HD video playback, HSPA+ data services, Flash 10.3 videos and comes preinstalled with applications such as Facebook, Twitter, Let’s Golf and Documents to Go. Huawei’s MediaPad is expected to be released later this year.